In Addition to helping our Clients sell their homes in the Traditional way, Dewar Realty Inc is now offering to buy your home directly. Dewar Realty Inc. will buy your home directly with a closing time frame of your choice. Once we take possession of your house, we can make any necessary repairs, conduct staging and put the home up for sale on MLS. 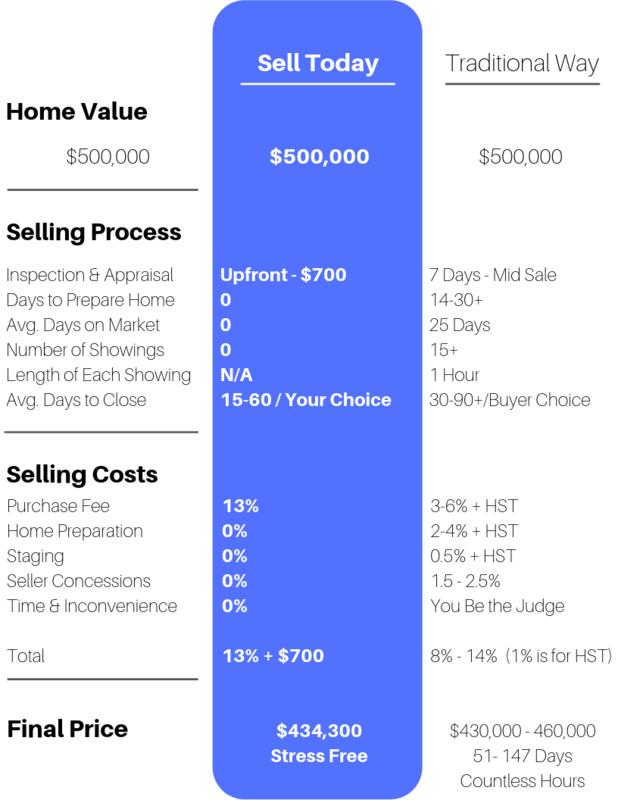 You might be interested in learning more about our Home Purchase Program if you would like to sell your home but want to eliminate the uncertainty & inconvenience that comes along with the traditional home sale process. If you want to avoid Decluttering, Updating, Renovating, Staging & Showing your home, this could be worth discussing. Knowing that your home is sold allows you to enter the market, as a buyer, with confidence & strength. When the right home becomes available you won't miss it because you still have to sell your home. You can pick your closing date, providing you with flexibility and assurance. You will benefit by saving the countless number of hours & days that are required in order to achieve a successful home sale. There is a requirement that the property closes within 60 days of the purchase date. Within this time frame you can select any day you wish. You can also adjust the closing date at any time, as long as it stays within the original 60 day period. Dewar Realty Inc. does not conduct a home evaluation or provide your home value. The home owner is responsible for ordering a Home Inspection & an appraisal from an Independent Licenced Appraiser. Once the Appraisal Value and a clean Home Inspection are obtained you can simply subtract the purchase fee to come up with your offer price. The cost of obtaining the appraisal & home inspection is the responsibility of the home owner. We ask for a home inspection report to confirm that there are no major structural, mechanical or safety issues with the home. 4% - is for Financing Expenses. This amount allows for us to purchase your home & pay for the cost to carry it until the new buyer moves in. Expenses we incur are Lender Fees, Mortgage Payments, Taxes, Utilities & Insurance. 2.22% - Pays for the Land Transfer Tax & Legal Services. On the day of closing, we must pay a land transfer tax, just like any other buyer. We will also have to incur legal costs for both the Purchase & Sale. If we are able to obtain a firm purchase agreement from a buyer at the full value of your home appraisal, matching the closing date that you have selected, we will reduce our fee by 6.22%. Making the total Transaction Fee 6.78% all in. Homes that are on Municipal water/sewer, electrical and gas services. Conditions & Availability is subject to change. There may be exceptions to some rules. Please feel free to get in touch if you’d like to discuss your property.